The system notifies users in several ways: as a pop-up on their workstation computer, an email to work and home addresses, a text message to their cellphone, and a voicemail to their work, home and cellphones. There is also a smartphone AtHoc application. Keep your information up to date. If you move to a new office or get a new personal cellphone number, make sure to go into AtHoc and provide your current information. AtHoc is effective in reaching community members with critical messages in real time, but its success depends on users’ input. Everyone with a Common Access Card should register – all service members, civilians and contractors. Additionally, Family members can and should register. 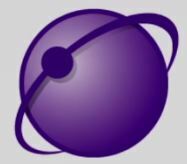 From your work computer, look for the AtHoc icon, a purple globe, on the taskbar in the lower right corner of the screen. Scroll slowly over the icon to make sure the installation location is correct. The tag should read USAG Ansbach MWN. Right click on the AtHoc icon and select Access Self-Service from the pop-up menu. Select the My Profile tab and update your basic information – first and last name and organization. To indicate where you work, select the correct USAG Ansbach kaserne from the drop-down member on duty location. If you would like to include the precise location of your home or work, use the interactive map to mark your work or home locations. DOD-sponsored Family members can register through their sponsor (with CAC) at the IMCOM-E Sponsored Account Mass Warning & Notification System Self-Service page. The sponsor should visit https://warnings1.army.mil/SelfService/2252490. Follow the steps as listed in the section above and save all input and changes. Registration is voluntary, but required for Family members to receive notifications. Can retirees register through AtHoc? No one without a common access card or without a sponsor with a common access card is able to register. Nevertheless, retirees can still keep up with severe weather updates or emergency situations by visiting the Hot Topics section either on the USAG Ansbach home page at www.ansbach.army.mil or on the Ansbach Hometown Herald at https://ansbachhometownherald.com/category/hot-topics. USAG Ansbach staff will also update the garrison Facebook page at www.facebook.com/usag.ansbach.7. For current road conditions during inclement weather, anyone can call the automated hotline at 09802-83-3882 or DSN 467-3882. Download the AtHoc Notifier app from the Apple or Google store. When the download is complete, open the application and enter the email address associated with your USAG Bavaria MWNS account. AtHoc will send a verification email to confirm your address. From the email, click Verify Now. Return to the application and add the USAG Ansbach MWN organization code: USA-Ansbach. Visit an instructional video on registering from USAG Rheinland-Pfalz at www.youtube.com/watch?v=Qd4FFf5-n70. For more on the AtHoc notification system and how to sign you or your Family members up, contact your chain of command or your supervisor.